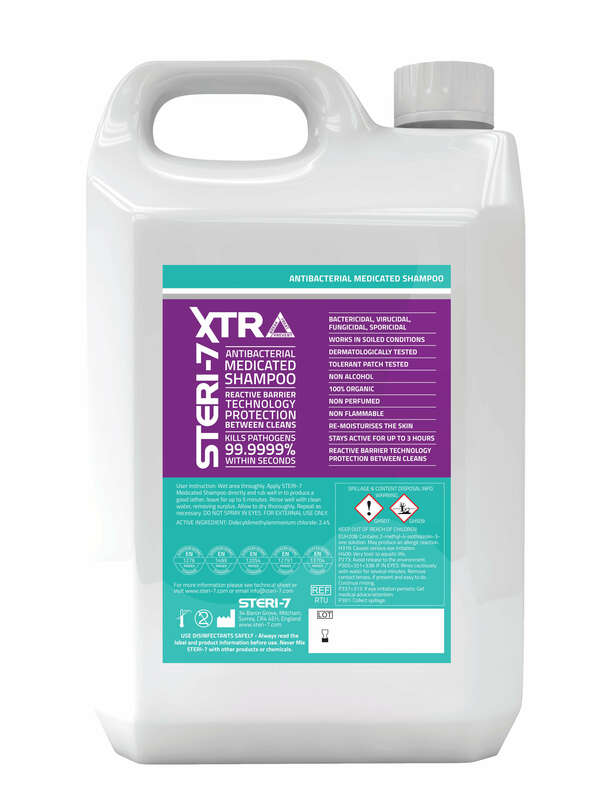 Steri-7 Xtra Medicated Shampoo is antibacterial; antiseptic; soothing to the skin (has been Dermatologically tested) & rinses off easily. It is effective against all the main types of bacteria, viruses & fungi. Steri-7 Xtra Medicated Shampoo is 100% Organic & free from harmful soaps & detergents. It has passed five key European Standards. Epi-Soothe is a hypoallergenic moisturising shampoo, formulated to calm itchy &/or sensitive skin. It is suitable for regular use. Barrier Lavender Wash is a high quality, all natural shampoo, that is great to cleanse, soothe, relax & calm your horse, particularly after exercise. Its no-rinse formula makes it easy to use. Lavender is also excellent at helping bruises & cuts heal. Dermoline Tea Tree Shampoo contains natural tea tree extracts. It has antibacterial properties & will thoroughly cleanse the coat, removing scurf. It helps to care for your horse's coat & promotes healthy skin.